Adam Rubin at ESPN-NY is reporting that the Boston Red Sox are “talking internally” about the possibility of obtaining Carlos Beltran. I wondered if the Red Sox would be interested in Beltran a few weeks ago, but a friend of mine from Boston (and diehard Bosox fan) convinced me that Theo Epstein had enough injury-prone outfielders to worry about. Plus, there is the cost of Beltran — a hefty $18.5M. It would seem that the Mets would need to eat a significant portion of Beltran’s salary for such a deal to happen. 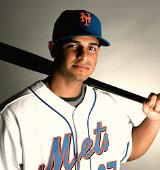 I still think the Mets are better served by keeping him now, but look to make a deal at the July deadline. 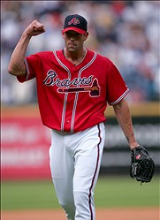 Though, it would be ironic to see Beltran go to Boston, and platoon in an outfield corner with Mike Cameron. According to a tweet by Jon Heyman, Adrian Gonzalez and the Boston Red Sox have agreed to terms. 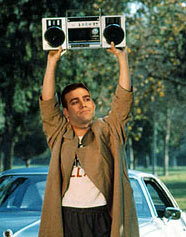 One source close to the situation said that Theo Epstein walked into the meeting room holding a boom box over his head playing “Please Come To Boston” by Dave Loggins, a la John Cusack in “Say Anything”. In response, a teary-eyed Gonzalez broke down and signed the contract. Not a surprise when your name is “Adrian”. It feels like decades ago, but it was only a year and a few months past that the Mets traded Billy Wagner to the Red Sox in return for Chris “The Animal” Carter and a slugging youngster named Eddie Lora. At the time, the deal appeared to be a salary dump by the Mets, who were eager to rid themselves of the $3.7M owed to Wagner. Check that; it didn’t just “appear” to be a salary dump — it clearly was. According to many sources, the Red Sox and Padres have agreed in principle to a deal sending Adrian Gonzalez to Boston. The Red Sox have been given a window of time to negotiate a contract extension with Gonzalez, who also will be taking a physical. Both must be successful for the deal to go through. 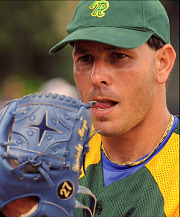 Rumor has it that Boston will be sending no MLBers to San Diego in return for Gonzalez. They will be sending top prospects Casey Kelly, Anthony Rizzo, Reymond Fuentes, and a player to be named later. WEEI has a quick rundown on these three minor leaguers. Assuming the deal is successful, it should help spark considerable activity during the winter meetings next week. In past years, the meetings have been somewhat sluggish because teams were waiting on big-time free agents to sign and other players to move. This year, however, the free agent market has been busy, and impact bats such as Gonzalez and Dan Uggla have already changed teams. As Sir Isaac Newton once observed, a body in motion tends to stay in motion — so we can surmise that there will be a flurry of transactions in Orlando.